An Edmonton tankless hot water heater is one of the necessities for every home in Edmonton during winter. To make sure that your tankless water heater provides hot water whenever you need it, you must follow some tips to keep your heater safe. Here are the top three safety measures for your tankless water heater. No matter what type of Edmonton tankless hot water heater you own, you must always keep the area around it clean and clear. In most cases, tankless heaters are mounted on the wall. Make sure you mount it almost 18 inches above the ground level so that your heater is safe while cleaning the room. Make sure you don’t store anything, especially flammable items such as gasoline or fuel cans, above or near the heater. Crowding the space around the heater can result in over-heating of the water heater. Your water will be too hot if the thermostat is set incorrectly. Excessive hot water and incorrect thermostat setting can even lead to scalding or bursting of the tank. Check your water heater every month to see the thermostat position. Make sure you set it between 45°-50°C so that your heater can safely run at the optimal temperature to produce hot water for most purposes. If you notice that your thermostat is already set at these temperatures, but you still obtain too hot water, your thermostat might be faulty. Replace the thermostat immediately to keep your heater safe. Flushing the heater isn’t only meant for storage type heaters. Minerals and sediments can build up inside your tank's heating chamber and ruin them. These buildups can also increase the water temperature and result in tank bursts. 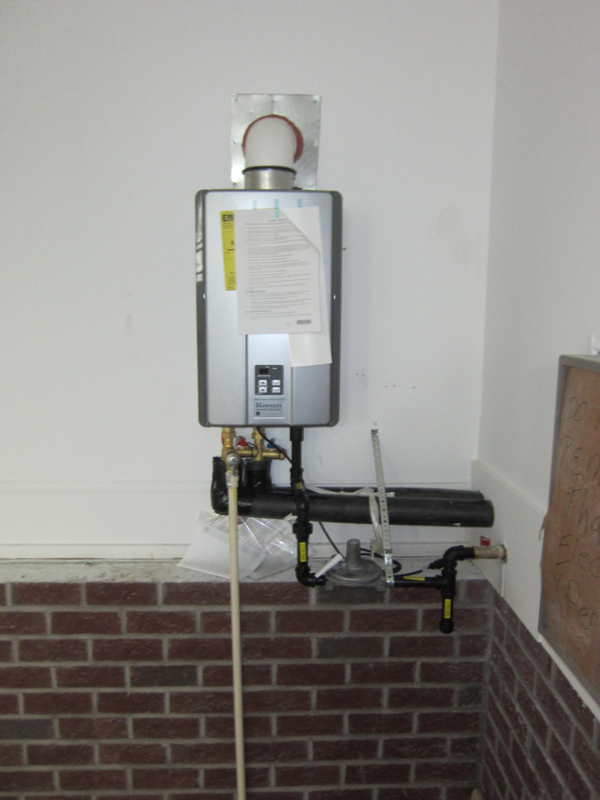 De-scale your tankless water heater every 10-12 months. You can de-scale the water heater with white vinegar instead of any chemical. You might use hot water for drinking or bathing purposes, and chemical cleaners can be harmful to your health. Hence, avoid using any chemical cleaners. With these three safety measures done, you can ensure complete safety of your Edmonton tankless hot water heater. Water heater breakdown can be a nightmare this winter hence, keep it at its best always. Call our water heater experts if you are facing any issues with your water heater. No matter what the problem is with your water heater, our professionals will help you in troubleshooting your Edmonton tankless hot water heater. How to Reduce Water Heater's Energy Usage? Is there any other device in your house that is more important than your water heater, this winter? No, right? Hot water heating Edmonton is something that you need on a daily basis in this season. Imagine your hot water tank or water heater leaking and slowly becoming non-functional. Isn't it almost like a nightmare? Your water heater can start leaking due to several reasons such as poor heater installation, loose connections, advancing age, faulty components, or too much pressure in the heater. You need not worry as we have a few tips for fixing water heater leakages so that you can enjoy hot water heating without any problem. If the water pressure in the pipes that directly supply water to your water heater is high, you will see leaks from where the pipe and heater are connected, due to the cracks in the pipes, or directly from the water heater. The first step to stop water heater leaks is to lower the water pressure in your pipes. Slightly turn off the main shut-off valve or install a pressure regulating device in your home to maintain the right water pressure. Sometimes, the problem isn't as big and serious as it may look. A loose drain valve can also result in leakages from the valve-heater connection. Take a look at your water heater and find the source of the leak. If you notice that the leaks are from the drain valve-heater connection, tighten the drain valve with the help of a suitable wrench. If the drips continue even after turning the valve in the clockwise direction, consider replacing the drain valve. Water dripping from the temperature-pressure relief valve at a low pace is considered to be quite normal as the valve is designed to release water in high-pressure conditions. Generally, the high-pressure conditions are created in your heater either due to water supplied at a high pressure or the thermostat temperature being set too high. If you have already managed these factors and still notice leakages from the TPR valve, the chances are that the valve may be faulty. Replace the temperature-pressure relief valve immediately to stop the leakages and also prevent your heater from bursting due to increase in the pressure. Another reason for water leakage from your heater can be the water heater itself. An old water heater can become inefficient or get corroded and have cracks and holes in them. Leakages can easily arise from these holes and cracks. Take a 360° look at your water heater and if you find any such signs of water heater failure and wear-off, replace your water heater altogether. If you aren't confident enough to carry out these hacks yourself, consider calling our water heater experts. They can fix all the water heater related problems and let you enjoy your hot water heating Edmonton. Your tankless water heater is a good investment that provides hot water every time you need it. To keep valuable equipment like these in good shape for years, you must maintain them on a regular basis. 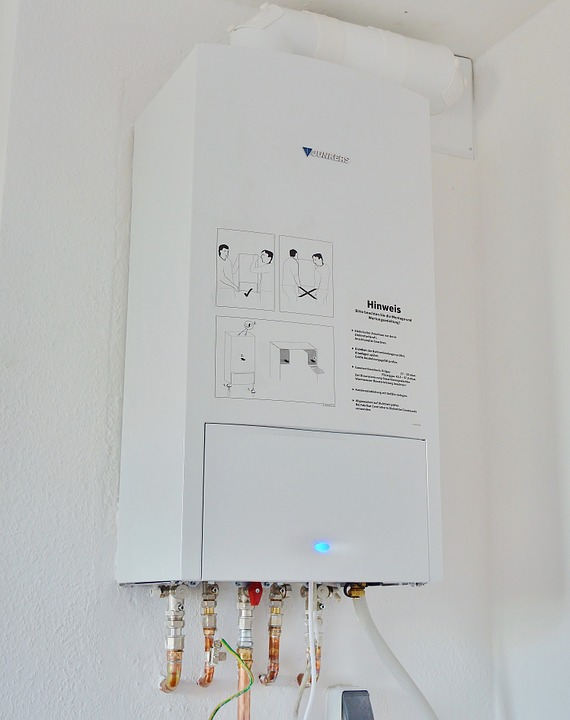 Here are the two most important maintenance tips for your tankless hot water Edmonton. Water that enters your tankless water heater may have impurities and dirt. To ensure that clean water enters your water heater, an in-line screen filter is fitted just below the cold water inlet, at a right angle. You must clean this filter from time to time, say every 2-3 months to make sure that your system works efficiently and you get clean hot water from your heater. If you receive dirty or hard water from the backend, you should clean your filter every month. Start by turning off the cold water supply to the heater. Unscrew the filter with a black cap and slide it out. Clean the wire mesh cylinder filter under running water. You can also soak it in vinegar for half an hour and scrub to clean tough debris. Reinstall the filter in the heater once you have cleaned it and turn on the cold water supply. If you have the hard water supply to your house, your tankless water heater may fail faster. The scale and minerals dissolved in hard water get deposited on the upper, lower, or both heating elements and even on the inner surfaces of the water heater. To extend the efficiency and lifespan of your heater and to reduce the chances of scalding and tank failures, you must de-scale the heater every year. De-scaling can be done using white vinegar. Turn off all the valves and supplies to and from your tankless water heater, especially the cold water supply and the hot water outlet. Turn off the main power supply to the tank. Remove the purge port valve caps from the purge valves. Connect a 6-feet hose to cold and hot water valves each. Dip the hose connected to the cold water supply side into a bucket with 5 gallons of white vinegar. Plug a pump to this hose. Place the other end of the hose connected to the hot water side in an empty bucket. Start the pump and allow the vinegar to circulate in the tank for 20 to 25 minutes. After 20-25 minutes, replace vinegar with cold water. Turn off the pump, allow the cold water to drain out from the hot water outlet completely, and disconnect the hoses. Put the valve caps back in place, attach cold water and hot water hoses, and turn on the water and power supply. Along with these maintenance steps, you must also check the valves on a regular basis. The cold Edmonton winter can freeze your water heater valves and make them inefficient. If you face any problems with your tankless hot water Edmonton, call our water heater specialists today. Ignoring heater problems can lead to disastrous situations. With the winter in its full swing, no home appliance is as important as your hot water heater. Tankless hot water Edmonton heaters are common for the various benefits they have. These heaters are considered not only for their economic benefits but also for their environmental sustainability. Tankless heaters do break down over a period and need to be replaced. Here are a few signs to determine the right time to buy a new tankless hot water heater. Tankless hot water heaters do not have a tank to store hot water. Hence, water is heated as and when the flow is received. This could lead to a sedimentary build up in the heater itself. The same can be identified by the color of the water you are receiving. Do not ignore rusty water either as it could be a sign of extreme rusting of the internal parts of the heater. 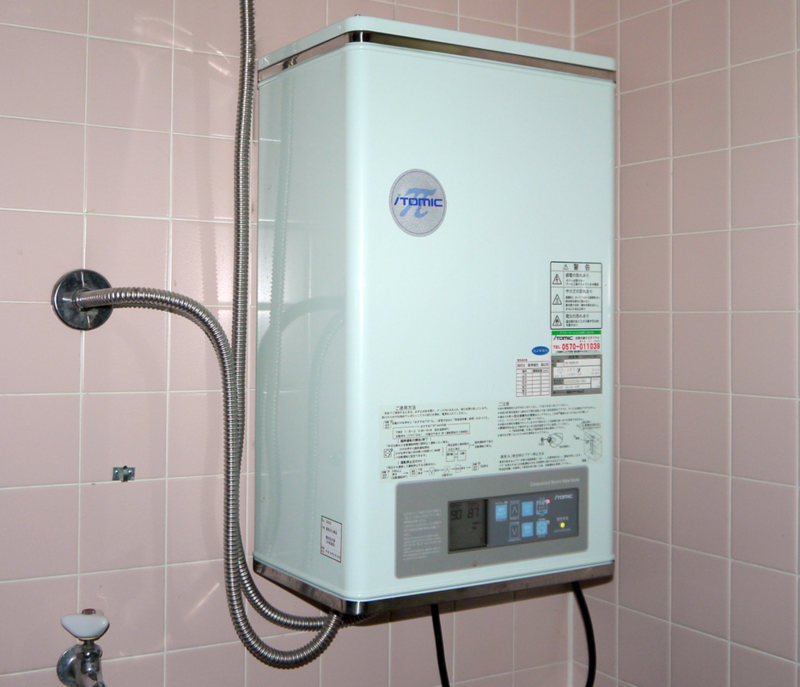 Tankless water heaters have a lifespan of 10-15 years. With proper maintenance, it can go up to 20 years. However, if your water heating equipment is needing repairs more frequently, there is a chance that it would not last for long. Frequent repairs is a sign of multiple part failure. A functional appliance requires repair once or twice a year. If your heater is in need of repair every few months, it’s time to buy a new water heater. If you have not been getting enough hot water, there is some serious issue with your tankless hot water heater. After years of use, heaters tend to lose efficiency. However, if you face the problem often, it’s time to replace your heater as the heating element of your heater might be damaged. Leakage of water from your heater happens due to damaged joints or pipes. While you can replace them, if the leak is severe, replacing the heater is the only option. An easy way to figure this out is to check under the heater for any leak or corrosion at the base. If you notice patches of corrosion, it is a clear sign of leakage within the heater. Sudden strange noises from your appliance is not a good sign. It is a clear sign of a failing electrical system of any appliance or sediment deposits in the inner components and pipes. If your old tankless water heater has suddenly started making groaning or gurgling noises, it’s time to get a new one. With signs like these visible, it is recommended to replace the heater before it breaks down completely. There are various types of tankless hot water Edmonton heaters to choose from. When buying a new water heater, make sure to take the assistance of an expert to ensure proper installment. Every business is different and different business types have different kinds of requirement. Like any other business equipment, a water heater has to be chosen according to the business’s need. You should take the assistance of an Edmonton hot water tank service to optimize your search for a commercial water heater. Here are a few factors to consider when choosing a commercial water heater. When selecting a commercial water heater for your business, make sure to check the type of fuel the water heater will make use of to heat the water. It is best to choose the fuel type which is available to you in abundance and at a cheaper rate. The common fuel types used in commercial water heaters are electricity, fuel oil, geothermal energy, natural gas, propane and solar energy. There are two kinds of capacity when it comes to commercial water heaters- whole building units, and point-of-use units. A whole building unit supplies hot water to all water outlets in your building structure. A point-of-use unit supplies hot water to a single water outlet in your building structure. The whole building units are large and require a high amount of energy to heat the water. The amount of fuel required is also high. The point-of-use units are comparatively smaller and require less fuel. There are two types of storage options available in water heaters- tank water heaters and tankless water heaters. A large number of commercial water heaters have storage tanks. These tanks have heating mechanisms to keep the water hot and ready for use whenever needed. A tankless water heater, on the other hand, does not store any water. It uses the flowing water available and heats it up as and when required. It is considered to be an eco-friendly option as it does not use any extra fuel to keep hot water stored. Before you decide on a water heater, it is essential to know the different types of commercial water heaters available in the market. It is not enough to know the storage and fuel consumption of a heater; you need to understand the different mechanisms as well. There are 5 major types of water heaters, storage water heaters, tankless water heaters, solar water heaters (makes use of solar energy to heat water), tankless coil heater (makes use of the commercial structure’s heating system via coil installation to heat water) and heat pump water heater (uses electricity to move heat from one outlet to another without generating heat directly). A commercial water heater is an expensive investment. Therefore, you need to be careful when selecting your commercial water heater. By considering the factors mentioned above, it will help you to choose an appropriate water heater for your business. However, to make a more informed decision, hire a professional water heater expert. Plus, a professional will help in the installation process and provide Edmonton hot water tank service assistance as well. With the fluctuating temperatures in Canada, a water heater is a must in every household. While many people opt for a tank water heater, tankless water heater is also pretty common in Edmonton. Like any other home appliance, an ﻿old tankless water heater ﻿also starts showing some issues over a period of time. Here are some common problems with old tankless water heater listed by Edmonton hot water heater installation specialist. This problem is majorly faced in areas which get hard water. Edmonton receives moderately hard water. As a result, there’s accumulation of sediments around the heating coil when the water is heated. A major build up over time could lead to breaking down of the heater. Corrosion is comparatively less in a tankless water heater as compared to a tank water heater. 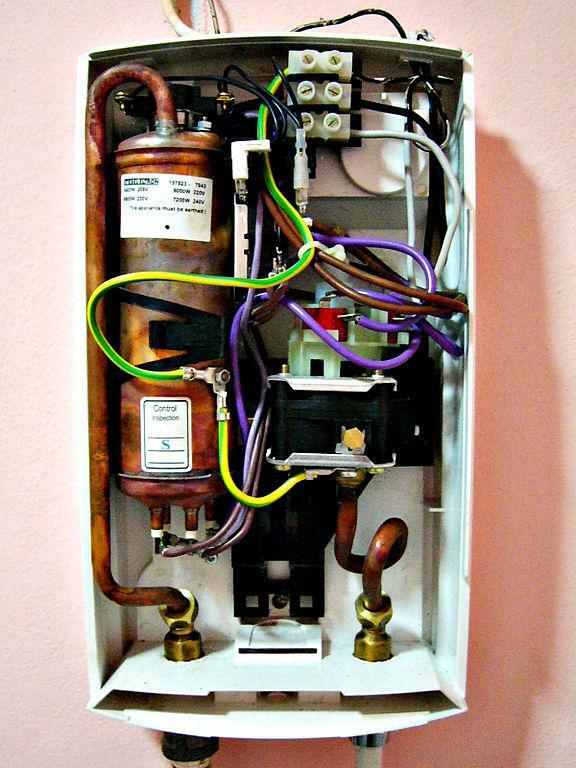 Nevertheless, it can be a problem in old tankless water heaters. Corrosion in the water heater could drip out the condensation in the burner, thereby blocking the gas supply. Such a situation could shut down the system. A tank water heater has low maintenance cost due to its simple mechanism. The intricate details of a tankless water heater make it expensive to maintain. It has minute parts which can cost more compared to a tank water heater. Also, long-term usage leads to increase in the wear and tear and recurring maintenance. The cold water sandwich effect is an occurrence in which the water released from the water heater is hot for a few minutes, and then there is a gust of cold water. The water then again goes back to being warm, though it may not reach the optimum or desired temperature. The residual hot water, left in the pipes, is a major reason for its occurrence. Since the process of heating water in a tankless water heater is a quick one, there is a lot of heat in the system. ﻿Proper venting is a necessity for tankless water heaters﻿. Over a period of time, the vents tend to get clogged resulting in a blockage. This leads to the heater shutting down altogether. Water heaters have a long lifespan. Malfunctioning of certain features over a period of time is bound to happen. 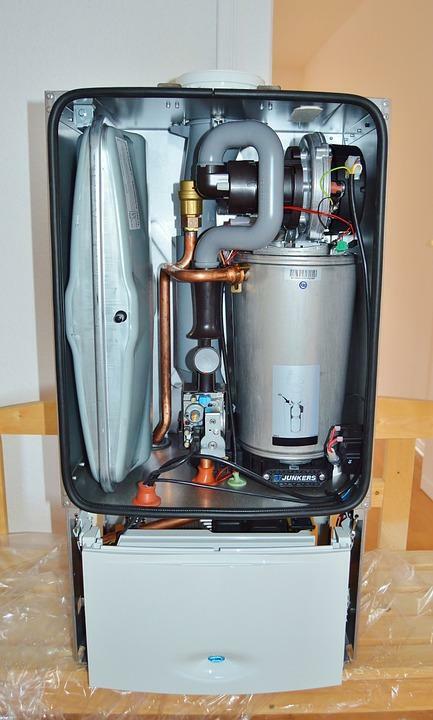 These issues can be avoided by proper and timely repair of your tankless water heater. A good ﻿Edmonton hot water heater installation professional﻿ would provide you with tips to maintain the water heater at the time of installation itself. Are you receiving cold water from your water heater even after turning it on for quite a long time? If yes, you must understand the causes of no water heater and take necessary steps to obtain hot water as and when you need. Here are the major causes of no hot water from water heater listed by Hot Water Tanks Edmonton experts. 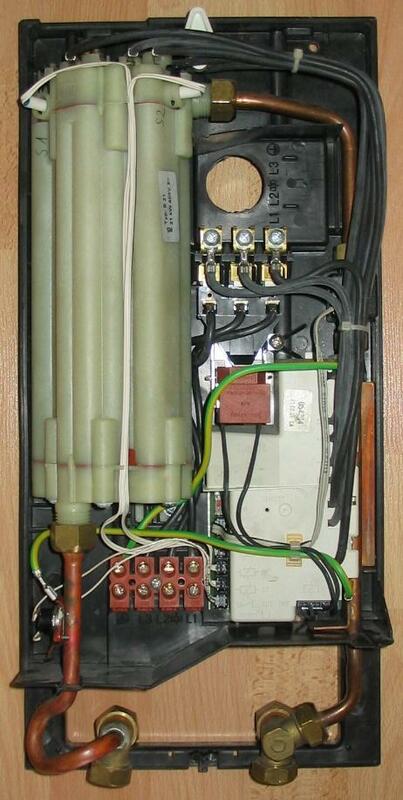 The circuit breaker of your water heater can trip, and this leads to no hot water till you switch the breaker on. The breaker can trip due to a faulty thermostat or water heater wiring, or even due to heating element burn-outs. You can fix these three causes in order to ensure the circuit breaker doesn’t trip and provides hot water continuously. A thermostat is a part or component of the water heater that is responsible for regulating the temperature of water produced by the heater. Any issues with the thermostat can lead to no hot water. You can solve this problem by getting the thermostat repaired or replaced. In most cases, if a thermostat fails to function properly, replacing it is the only solution. As mentioned above, the thermostat regulates the water temperature produced by the water heater. Sometimes, only the mispositioning of the thermostat can also lead to no hot water. Check your water heater’s thermostat and read the numbering. If the thermostat is set at anything lower than 120°F, you won’t get hot water from the heater. Turn the thermostat and set it at 110°- 140°F for enough hot water. This one is obvious. If any of the wirings of your water heater is loose, the water heater won’t provide hot water. Call a water heater expert and get your water heater inspected for this problem. If the expert identifies this problem, make sure you get it fixed then and there itself. If you have a gas water heater, you may face this problem little more often than those who have an electric water heater. Over the years, the burner of your gas water heater can get rusted due to gas leaks or even get cracked due to continuous use. Any faults in the burner won’t allow the pilot light to fire and heat the water. Hence, check your gas water heater’s burner every month. Now that you know why you aren’t receiving hot water from your heater, you must make the necessary repairs.﻿﻿ Get in touch with our water heater experts﻿﻿ at Hot water Tanks Edmonton to troubleshoot your water heater for these or any other problems. The major motive of conserving hot water in your home is to save energy that is consumed to heat water every time you need. Energy consumed by the hot water tanks Edmonton is the second largest energy expense in your home. However, the good news is that you can save money and lower your energy bills by conserving hot water. Here are a few ways how you can conserve hot water in your home. Inspect your home thoroughly and check if there are any kind of plumbing defects. Plumbing problems such as leaks from plumbing pipes and connection of fixtures, dripping faucets, toilet leaks, and hidden water leaks can result in unnecessary waste of hot water. 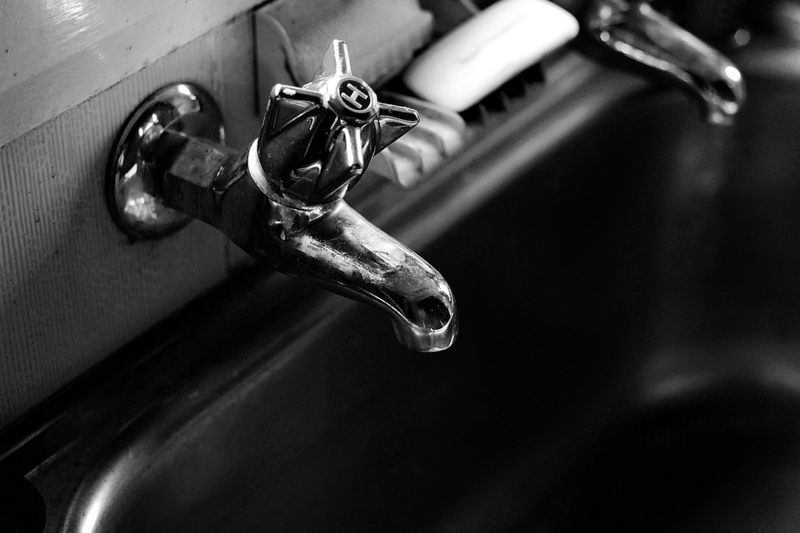 Solve these problems by repairing or replacing the plumbing pipes and fixtures in order to conserve hot water. A showerhead can provide 6 gallons of hot water per minute at an average, whereas a kitchen or bathroom faucets can provide 2-3 gallons of hot water per minute. In order to cut down the hot water usage, you can install low-flow faucets and showerheads in your home. These faucets and showerheads consume less water and save large quantities of water used every time you turn on your faucet or shower. Most of the times, there are certain tasks for which you can use cold water instead of hot water. 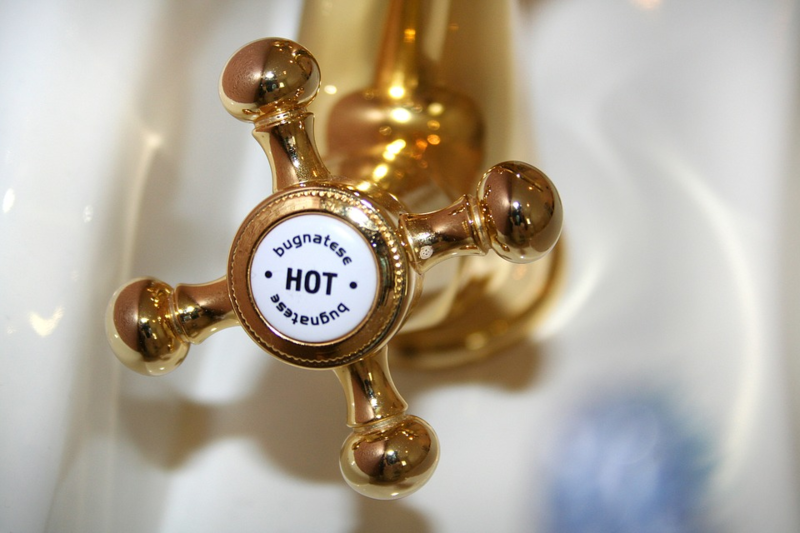 Avoid using hot water for each purpose unless absolutely necessary. For example, you can use cold water in dishwashers and washing machine instead of hot water. Even cold water can clean your dishes and clothes effectively. Although enjoying every moment spent under your shower may seem to be enjoyable, it can result in a lot of water wastage. One way to cut down your hot water usage is taking shorter showers. Limit your time under the shower and save about 20-30 gallons of hot water every day. You can also turn off the shower after soaping to save more hot water. Consider installing a tankless water heater to conserve hot water as well as lower your energy usage. Tankless water heaters provide hot water only when needed and don’t consume energy to keep water hot all the time. Get in touch with Hot Water Tanks Edmonton for tankless water tank installation. What Can Hard Water Do To Your Hot Water Tank? Electric Hot Water Heaters Edmonton Expert.